Tonight is a 1984 album by David Bowie, featuring collaborations with Tina Turner and a cover of the Beach Boys' "God Only Knows". Critics slammed it as a lazy effort, dashed off by Bowie simply to recapture Let's Dance's chart success. 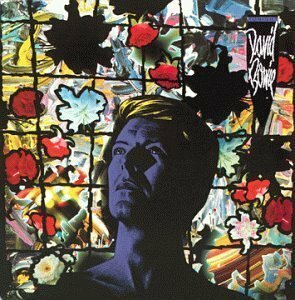 Yet the album bore the Top 10 hit "Blue Jean" whose long-form video, a 22-minute short film directed by Julien Temple, reflected Bowie's long-standing interest in combining music with drama. It also featured the minor hit "Loving the Alien", a deep song about religious conflict and one of the few songs from Tonight to later return to Bowie's stage repertoire. The album also has a pair of dance version rewrites of "Neighbourhood Threat" and "Tonight", old songs Bowie wrote with Iggy Pop, both of which originally appeared on Lust for Life, possibly to recreate the success of his earlier rerecording of "China Girl".